You may later regret not considering fertility issues prior to starting cancer treatment. Based on my treatment plan, what is my risk of infertility [high, moderate, low]? What are my options for fertility preservation before I begin cancer treatment (see table below)? 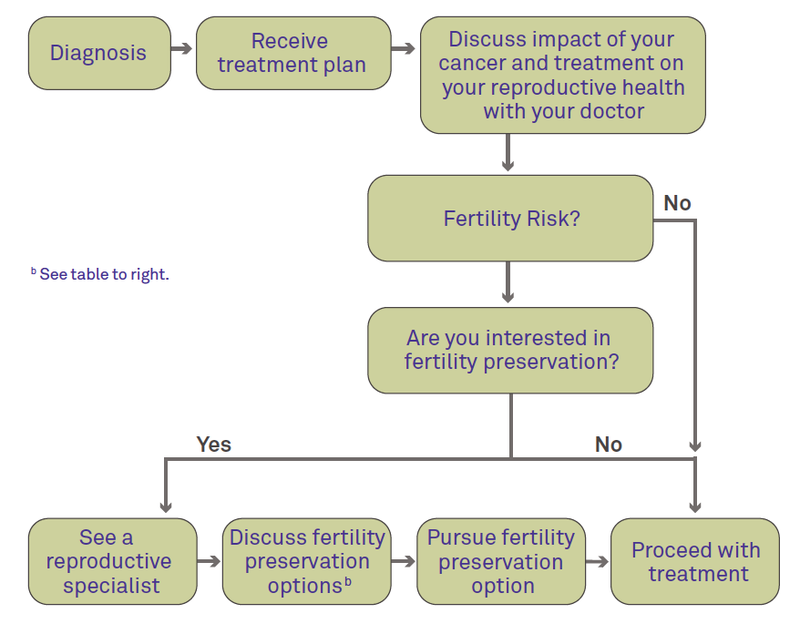 The American Society of Clinical Oncology and American Society for Reproductive Medicine recommend, when possible, at-risk patients should see a fertility preservation specialist prior to starting cancer treatment. The following table gives a brief description of options available to women who wish to preserve their fertility. Discuss available options with your doctor. Several resources are listed below and can help you locate a fertility preservation specialist.